Vietnam M-1 Helmet & liner Mitchell Camo Cover Insect repellent Rations. Vietnam M-1 Helmet 1963 Camo Cover "Custom Graffiti" Disney's Doc. Vietnam M-1 USMC Helmet & 60's Westinghouse liner Mitchell Camo Cover Insect repellent Rations. 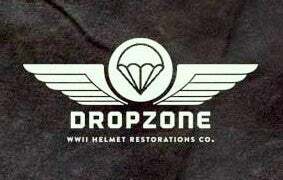 M1 Helmet burlap Camo Scrim. Original US GI surplus. WWII M1 Helmet Liner Dark Blue Vinyl Sweatband. For Saint Clair & Hood Rubber. Replica Hawley M1 Liner. Infantry U.S. Army or USMC. Rayon Webbing & Rayon Sweatband.